Harrison and I took a walk on Friday afternoon to the garden area of our apartment complex. 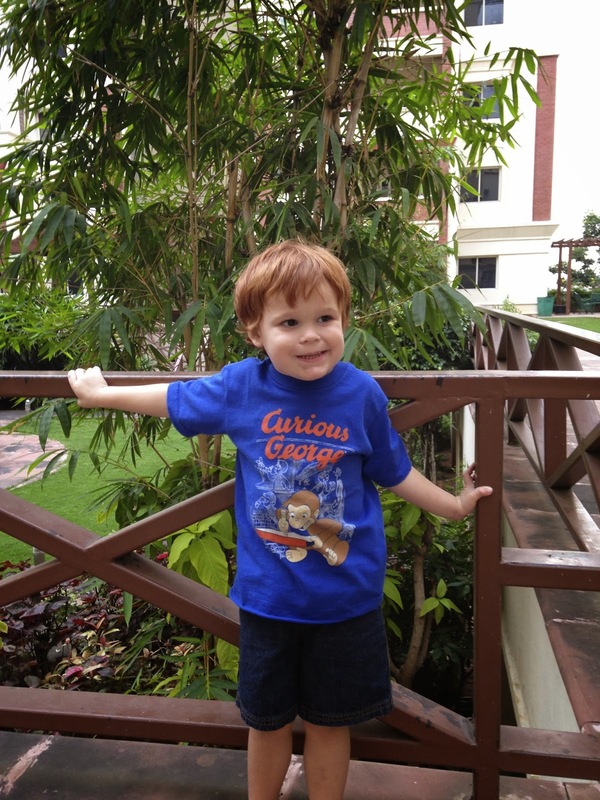 Harrison spotted a Bamboo tree...he pointed with extreme excitement and said "Bamboo!! That's my favorite branch!!!!" I truly love looking into the world through his eyes. On Sunday afternoon we decided to try out the barber shop in our Clubhouse. 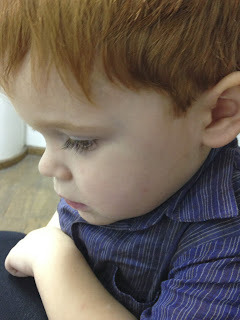 Harrison's first India big boy haircut in a real barber chair was a success! Bill and I were very pleased with Harrison's (and Bill's) haircut…and it was $6 for BOTH haircuts! The barber spoke very little English but did a great job!